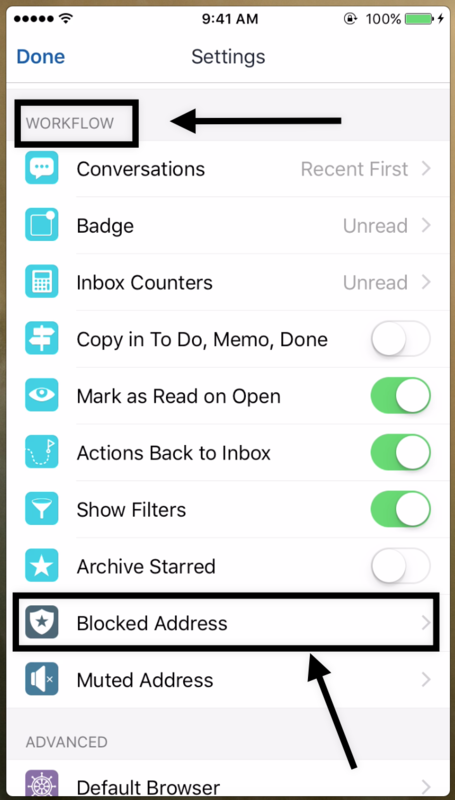 How to block an address? 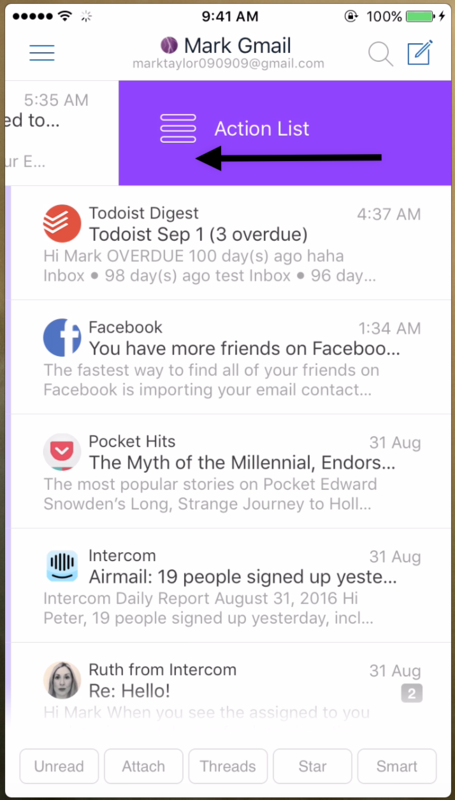 Just open a message and tap the three dots button to access the actions. Choose &apos;Block&apos; from the list, the three dots action list is shown in the picture below. 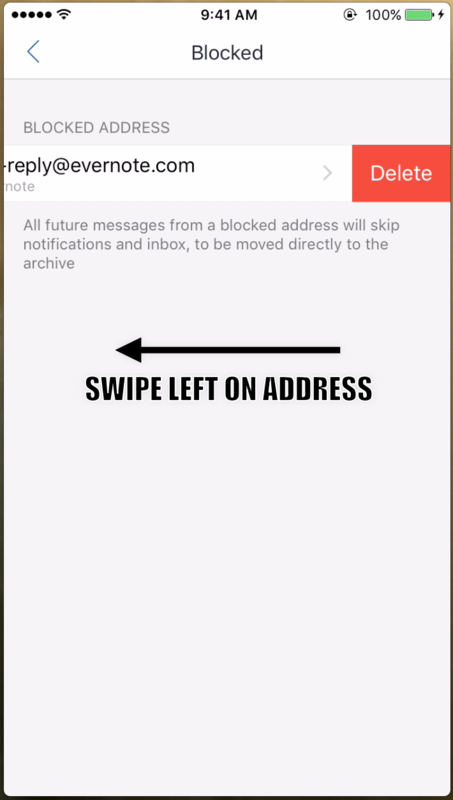 Please note that you can also add the &apos;Block&apos; action directly to the &apos;Swipes&apos; from &apos;Airmail Settings > Swipes&apos;. How to see all the messages from the blocked addresses in a single folder? 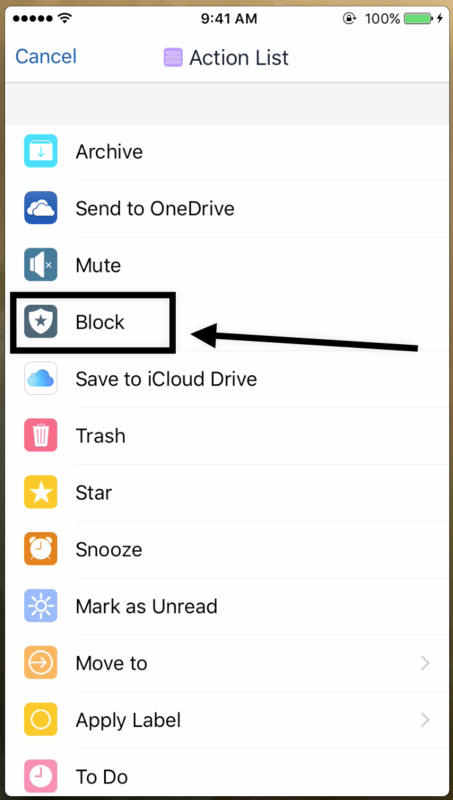 You can choose to see all the messages from the blocked addresses in a single folder by following the procedure below. 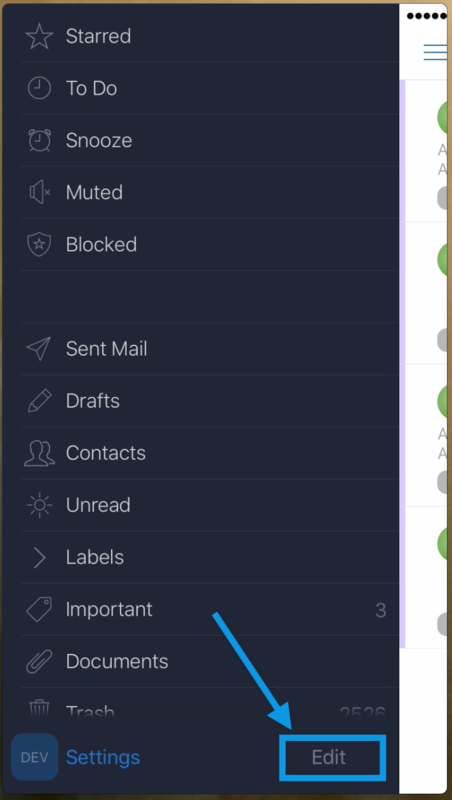 Then select &apos;Blocked&apos; from the list to appear in the sidebar as shown in the picture below. 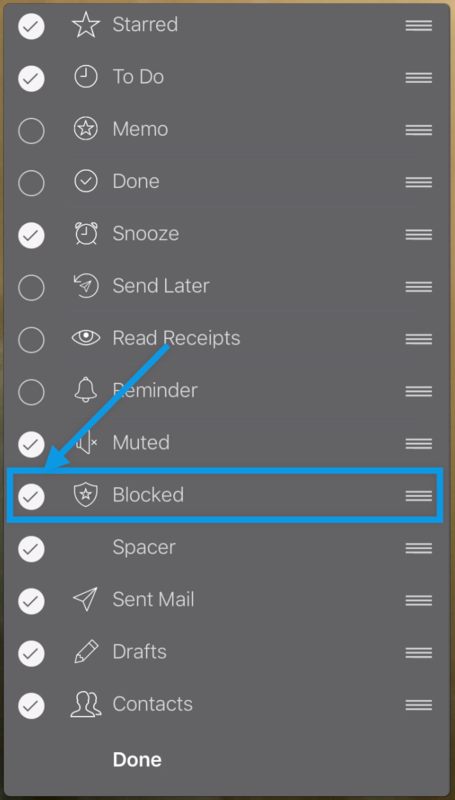 This will allow you to see the &apos;Blocked&apos; folder in the folder panel to quick access all the related messages. How to see the list of &apos;Blocked Addresses&apos;? 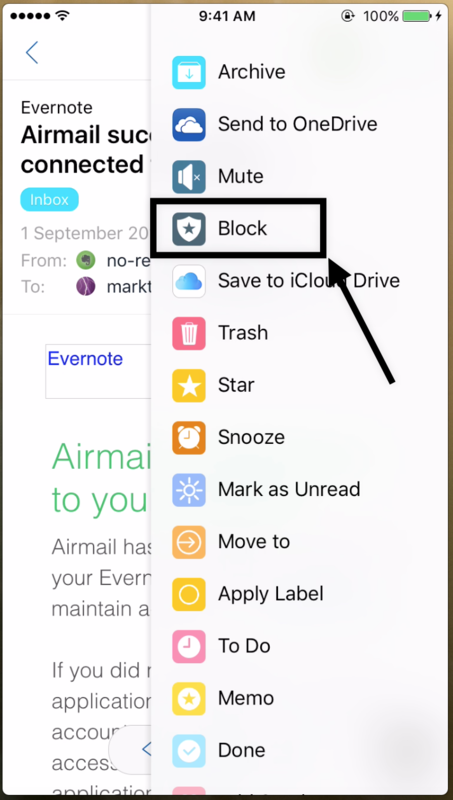 You can access the list of the blocked addresses in &apos;Airmail Settings > Workflow Section > Blocked Address&apos; as shown in the picture below.